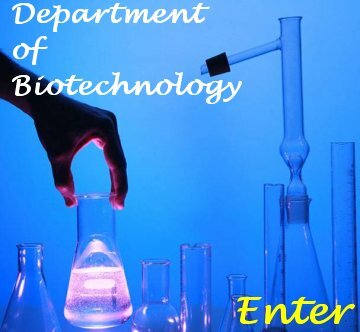 The Department of Biotechnology was established in 2003 with a view to develop a center of excellence for education and research in biotechnology. In so doing, a four-semester AICTE-approved and DBT supported M.Tech. programme in Biotechnology was started with students qualifying in the All India level Combined Biotechnology Entrance Examination (CBEE) conducted by Jawaharlal Nehru University, New Delhi. It is pertinent to mention that WBUT and Annamalai University are the only two centers in the country in M.Tech Biotechnology supported by the Department of Biotechnology, Government of India. The programme took off successfully in early 2003. A modest infrastructure has been developed with the financial support from WBUT and other national funding agencies viz., DBT, BRNS, AICTE, CSIR and DST. 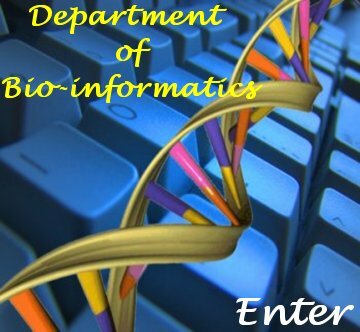 In 2005, the Department of Bioinformatics was started with a four semester AICTE approved M.Tech programme (M.Tech. in Bioinformatics). The School of Biotechnology (recently renamed School of Biotechnology and Biological Sciences) was set up in 2006 for all round development of Biotechnology and Bioinformatics. The main focus of the School of Biotechnology & Biological Sciences is education and training of students in various facets of frontier Science. The post B.Sc. integrated Ph.D courses in Molecular Biology, Microbiology and Bioinformatics are the other important courses under this School. A Centre for Genetic Counseling is run where outreach activities in the form of diagnosing and counseling of patients suffering from genetic disorders is carried out. In 2007 a workshop sponsored by ICMR was also conducted in this area. Considering the excellent response and demand of the students plans of enhancing the number of seats along with the laboratory facilities will be the future goal of the School. In addition plan to start a post graduate course in Genetic Counseling is in the pipe line. We have also been able to set up a Transmission Electron Microscopy Laboratory in early 2007 which provides user facility to various sister organizations. Eventually in early 2008 a hands on training program on Prokaryotic whole cell visualization was organized with eminent microscopists from all over the globe as instructors. 108 participants from different parts of the country attended the workshop. This occasion was used as a platform to name the Center as "N. N. Dasgupta Electron Microscopy Center". The Alumni of the School has recently established an Alumni Association (WBUT Biotech Alumni Association, WBAA) in order to promote good interaction among them and have been organizing events successfully since 2008. Recently another now milestone has been achieved by the WBAA collaborating with the School of Biotechnology and Biological Sciences in releasing its own official magazine called "BIOVARIANCE".